On December 5th Jr. Middleweight contenders Jack Culcay and Dennis Hogan met in a twelve round bout to determine interim/regular champion status in the World Boxing Association’s (WBA) Jr. Middleweight ratings in Hamburg, Germany. What made this fight interesting beyond it being a battle between two rising contenders was that the winner would potentially be in a position to fight for a vacant WBA world championship against current IBO world champion Erislandy Lara, who also holds interim/regular champion status in the WBA’s ratings. Culcay, a former European Jr. Middleweight champion scored a convincing twelve round unanimous decision over the previously unbeaten Hogan. Although this fight was a tactical Boxing match between two world-class boxers, the primary difference in this observer’s eyes was Culcay’s ability to execute and land his offense in spurts on Hogan. Hogan seemed to have difficulty throughout this fight in being able to land cleanly on Culcay. This can be attributed to both Culcay’s lateral movement and ability to defend effectively behind a high defensive guard which deflected most of Hogan’s offense. In contrast to Hogan, Culcay was able to make the most out of any openings he was given often throwing punches in combination. Even though Culcay’s punches did not always land when he would let his hands go in an offensive spurt, they were effective in keeping Hogan on the defensive and the punches that did land were clean and effective. Although some of the rounds in this fight could be described as “Swing Rounds” due to Culcay not being as active and Hogan being able to have sporadic success, Hogan’s inability to get his punches either through or around the defensive guard of Culcay consistently is what cost him the fight. What was a convincing victory that this observer unofficially scored 9-3 in rounds or 117-111 in points for Culcay now could lead to a very interesting fight with Erislandy Lara. 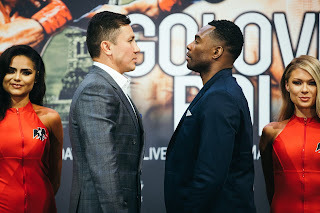 Lara, who successfully made the first defense of his IBO Jr. Middleweight world championship on November 25th with a third round stoppage of former IBF Welterweight world champion Jan Zaveck made a strong argument for himself as being the number one fighter in the division. Readers may recall in covering Lara’s fight with Zaveck that I stated that it would be interesting to see whether or not the WBA would designate Lara as full WBA world champion before the end of this year following the recent retirement of unified WBC/WBA world champion Floyd Mayweather following his defense of his unified WBC/WBA Welterweight world championship over Andre Berto in September of this year. Although the structure of the WBA world championship picture in various weight classes can at times be confusing due to a fighter being designated as a “Super” champion due to holding multiple world championships in the same weight class and having at times two fighters holding interim/regular champion status underneath that fighter, such a structure does serve a purpose ensuring that contenders to get an opportunity to fight for a world championship if in the event that the champion either relinquishes or is stripped of their title for failing to defend against a mandatory challenger, which more often than not is a fighter who is designated as having interim/regular champion status. The WBA however, should do something that would ensure less confusion among the general public as to who is WBA world champion or in this case where a champion has retired, should either designate a fighter who has interim/regular champion status as being full champion or mandate that the two fighters who hold that status must face each other to determine a new WBA world champion. In the eyes of this observer Erislandy Lara although now a world champion recognized by the International Boxing Organization (IBO), should either be named full WBA world champion per his holding interim/regular status prior to winning the vacant IBO world championship in his fight against Delvin Rodriguez in June of this year, which would give him status in the division as being a unified world champion, or the WBA should mandate a fight between Lara and Culcay to take place sometime in 2016. It is the only way such a structure serves its purpose.